Microsoft Exchange services for business email, calendar, and contacts delivered as a cloud service and accessible from your desktop, phone, or tablet. 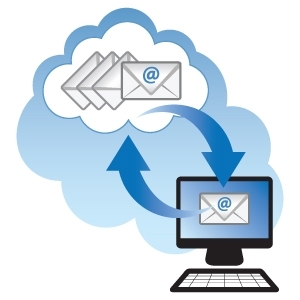 Ongoing Operations hosted Exchange includes continuous backup as data protection protects and monitors the health of exchange servers, allowing administrators to recover and analyze email messages and content. Today, email is one of the most critical communication tools for your business. By outsourcing to Ongoing Operations, you can increase efficiency, improve up-time, and even reduce total cost of ownership vs. internal management. Exchange is more than just email, its Microsoft’s group productivity tool integrating email with scheduling, contacts, and tasks. Compared to simple POP email, it’s a huge step up in productivity. Not only do you get the integration of email, contacts and calendar, but also the ability to share information with others in your organization. With Exchange, all your messages are stored in one central location, backed up and scanned for spam and viruses. Unlike POP, if you read an Exchange email from Outlook Web Access (the web based email application included with every account) it will be marked read when you open Outlook on your PC. No matter where you access it, your inbox looks the same, because it is the same.